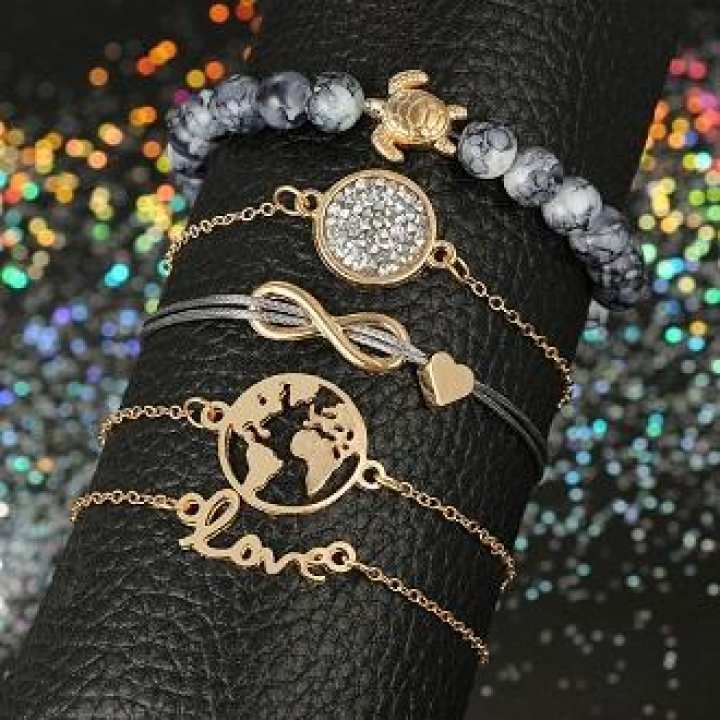 This bracelet set features 5 different styles: "love" letter style, infinity love style, world map style, rhinestone style, bead & turtle style. This bracelet set is a great value and offers more choices for your daily wearing. You can choose to wear it alone or stacked with other bracelets. One order allows you to wear different bracelets every day and enjoy the joy of collocation.